We found most of us spend a lot of time to select right skin care products from a huge product line and many brand shop...How can find a needle from the sea ? SKINmore+ would like to take this challenge and we're only provide well-selected Skin care products to saving valuable time for our customer. SKINmore+ dedicated to be a world-leading skin care products and services for consumer market. We are going survival and growth by providing Innovation & Quality-oriented skin care product to meet our customer needs. Guess most of us do not really know what type of our own skin...when you select and try our new product SSC (SmartSkinCare), then you'll know it. When you get upset about your pore on your face, you'll be happy when you select and try to use our BlackPaint from SKINorganic collection. 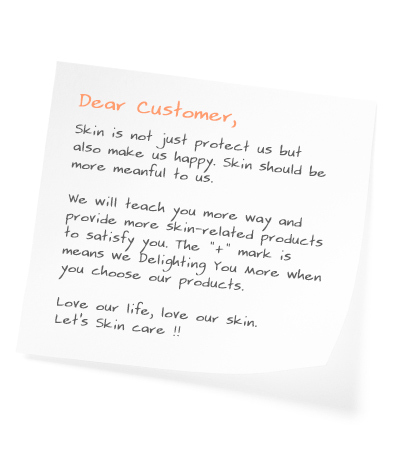 Skinmore+ providing selected worldwide skin care products for quality oriented customer choice. Trust us and Join us now ! Home | News | About Us | Collections | Contact Us Copyright 2015 © SKINmore+. All rights reserved.